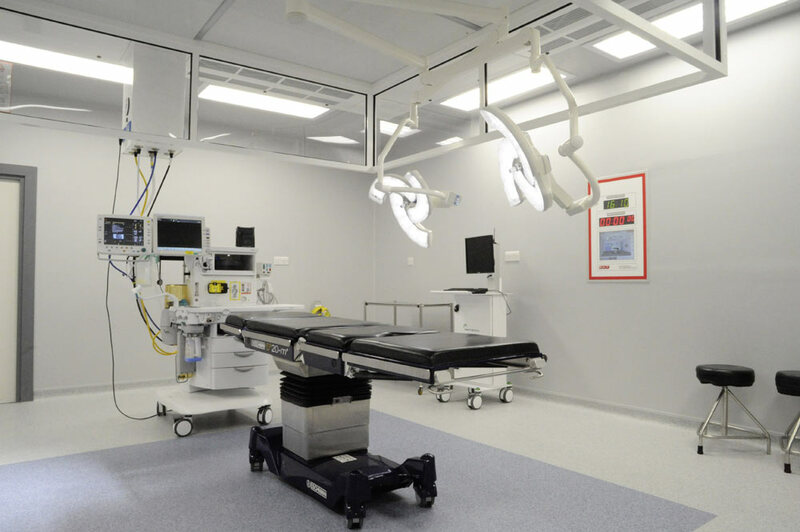 State of the art lighting and electrical protection systems supplied and commissioned by Bender UK are enhancing the performance of the new £300,000 ultra clean-air theatre for carrying out orthopaedic implant surgery at Furness General Hospital in Barrow-in-Furness. Building on its proven track record as a single source supplier of operating room equipment, Bender UK installed its isolated power supplies (IPS) providing advance warning of equipment earth faults – protecting both staff and patients; uninterruptable power supplies (UPS) which provide back-up power to surgical equipment in the event of power failure; the theatre control panel which manages and controls the theatre environment and also Steris advanced energy efficient XLED Operating lamps, for which Bender is the sole UK distributor. The Steris XLED adds a new dimension to the surgical lighting concept with its innovative LED design offering the ideal intensity and quantity of light for each application, including endoscopic procedures and delivering lighting power up to 160,000 Lux. Each spot array has 20 LEDs and is configured to optimise the light so an even illumination is maintained and shadows are eliminated. A laminar air flow system that continuously filters the air to reduce the number of organisms in the atmosphere has been installed to minimise post-operative wound infection. This was installed by MAT a close working partner of Bender UK. With hygiene and infection control driving the upgrade at Furness General Hospital the lighting system includes Bender’s unique theatre control wall-mounted touchscreen with a special anti-bacterial finish infused with silver ions, which enables staff to safely control the lighting even when wearing surgical gloves. For more information on Steris Surgical XLED lighting systems, Bender uninterruptible power supplies (UPS) and isolated power supplies (IPS) and the company’s capabilities as a single source supplier of operating room equipment visit www.bender-uk.com. For technical/sales enquires contact us online.